Greekology At The Country Club. 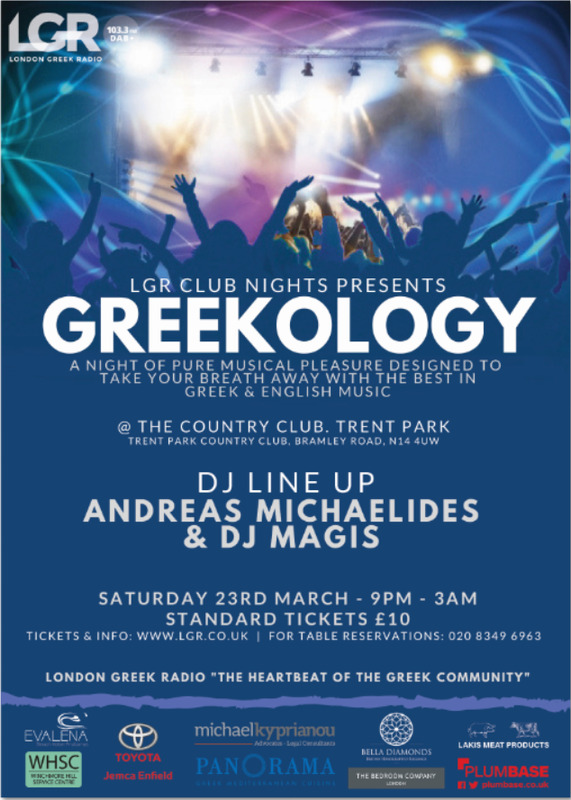 LGR Club Nights is back with another massive party at the Country Club Trent Park!! Join us on Saturday 11th May for another unforgettable party. 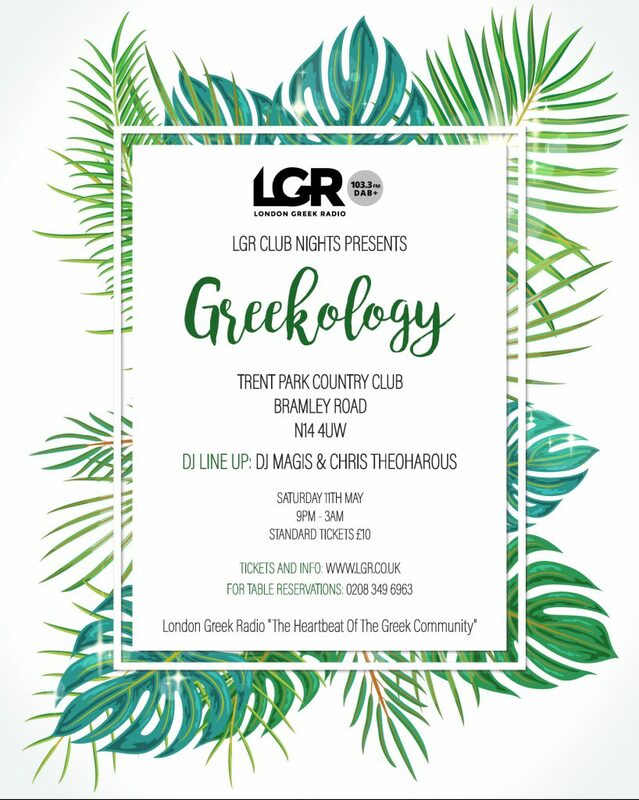 Our DJs Magis & Chris Theoharous will be on the decks, kicking off summer 2019 in true Greek style! For a limited time only, advance tickets are just £5 per person. Standard tickets are £10 per person. You can purchase yours using the ticket link below, 0r over the phone 0208 349 6963. To buy tickets for this event please visit our events page: Greekology tickets from Skiddle. 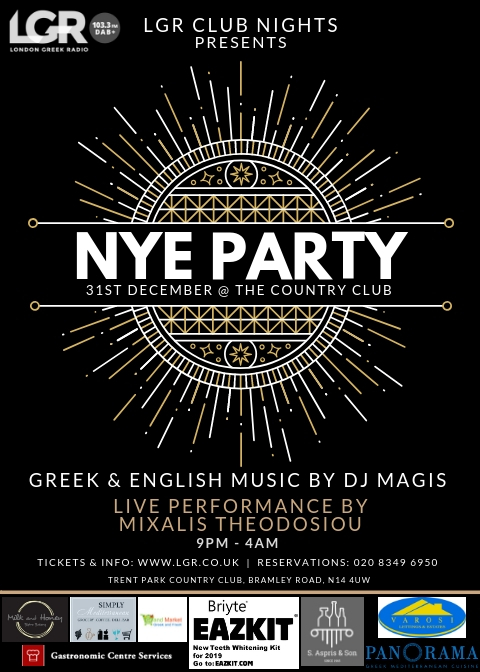 On Monday 31st December London Greek Radio are hosting NEW YEARS EVE at the Country Club Trent Park in Oakwood. 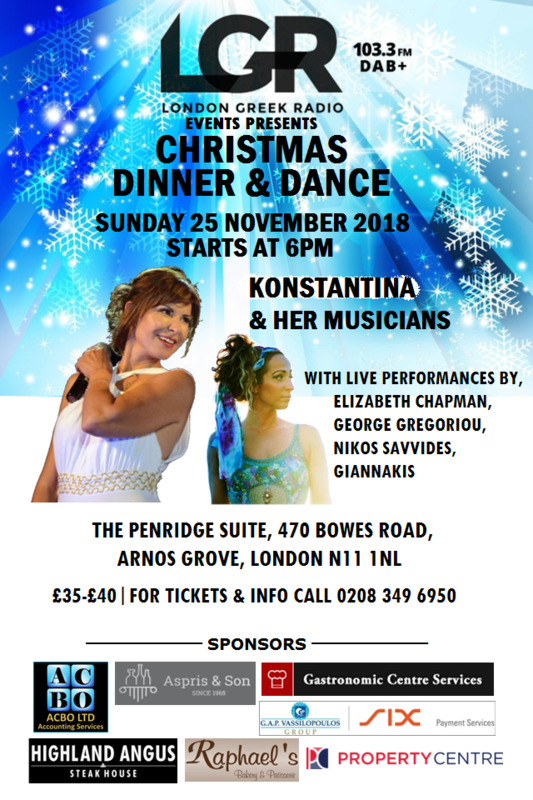 Join us for the party of the festive season, featuring DJ Magis on the decks and live musical entertainment by Greek singer Mixalis Theodosiou. Early bird tickets have now SOLD OUT! Standard tickets are available for £25. 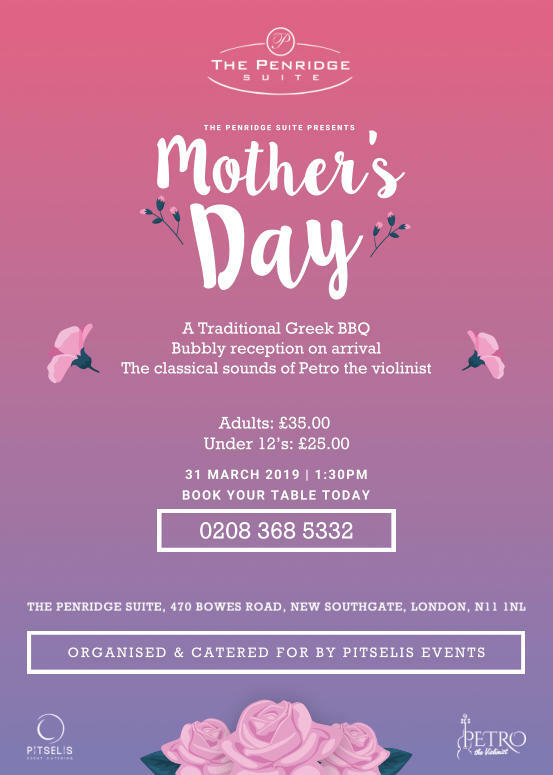 For table packages please contact Vassoula at London Greek Radio on: 0208 349 6963. Event tickets are available to purchase below. 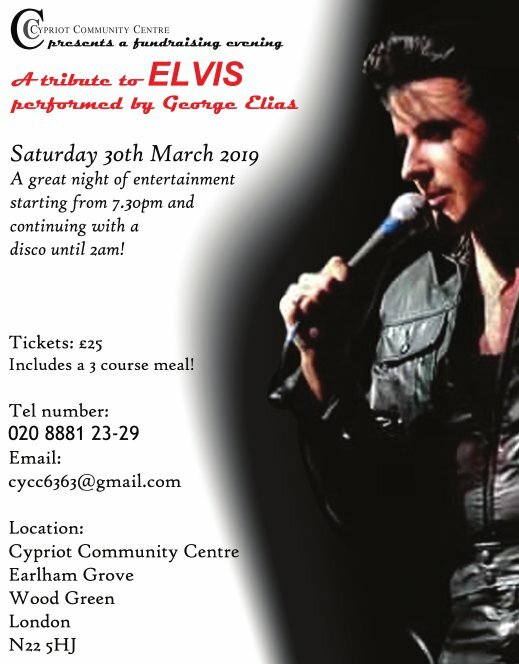 Or to avoid paying the online booking fee, tickets can also be purchased over the phone by calling LGR on 0208 349 6963. 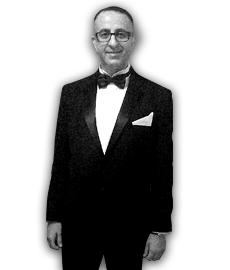 To buy tickets for this event please visit our events page: New Years Eve at the Country Club Trent Park tickets from Skiddle. 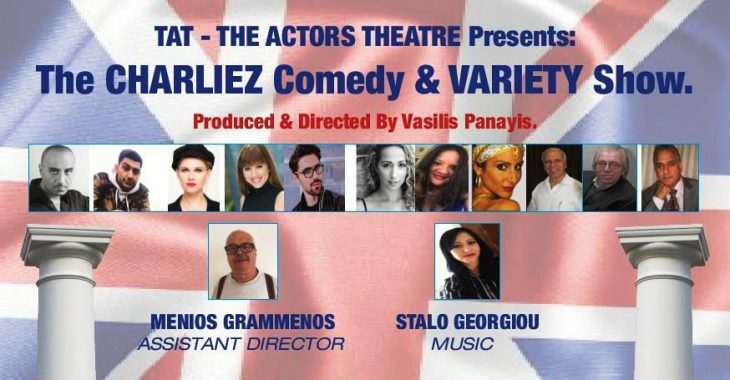 TAT – The Actors Theatre Presents The Charliez Comedy & Variety Show, produced and directed by Vasilis Panayis. 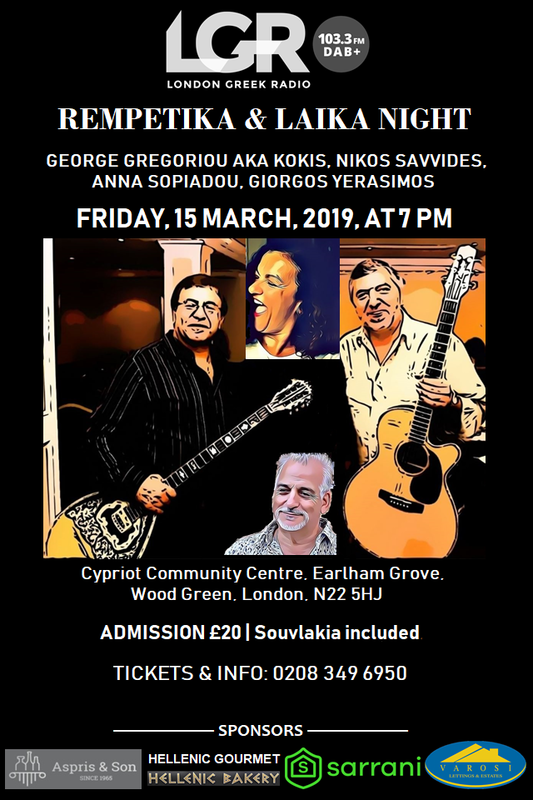 With Andy Francesco, Stevie Georgiou, Eleftheria Tsartzaraki, Vasoula Christodoulou, Markos Kalogerakis, Elizabeth Chapman, Katerina Barotsaki, Ellie Kyriakou-Samsara, Fivos Alexandrou, George Yerasimos & Vasilis Panayis. They will make you laugh all the way through. 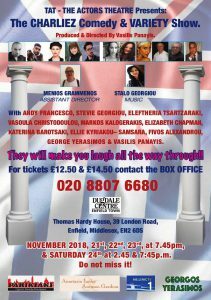 For Tickets £12.50 & £14.50 contact the Box Office 020 8807 6680. Dugdale Centre, Enfield Town, Thomas Hardy House, 39 London Road, Enfield, Middlesex, EN2 6DS. November 2018, 21st, 22nd, 23rd, at 7:45pm, & November Saturday 24th 2018 at 2:45pm & 7:45pm.